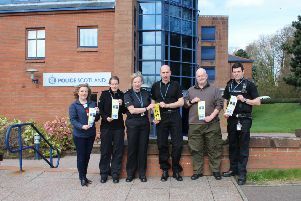 Police Scotland officers at Castle Douglas are appealing for help to trace those responsible for the theft of about 1500 litres of diesel from a tank in the Carsphairn area. The diesel was stolen from a remote location off the A713 road, sometime between Friday 23 December 2016 and Wednesday 4 January 2017. The value of the diesel is around £3000.